It is a festival to make a bonding with people from each other.In 1905 when British Govt. 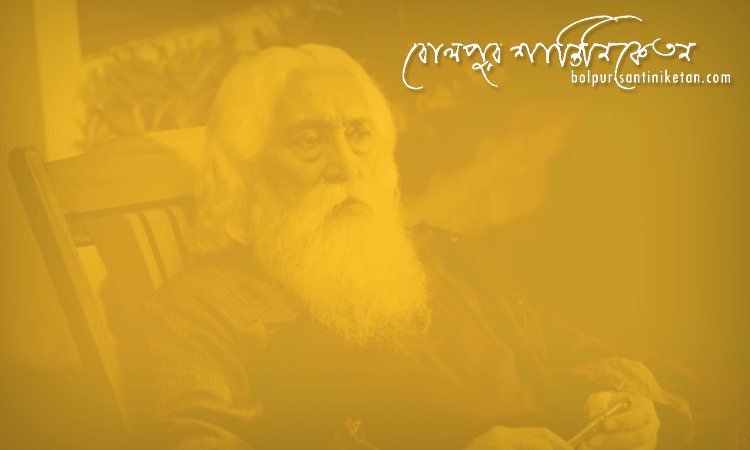 declared to divide India, Rabindranath Tagore started Rakhibandhan to unite Indians.He wrote many songs like “Bhai Bhai ek thai”, “Banglar Mati Banglar jol”, “Bidhir Bandhan Katbe Tumi Amon Shaktiman” …, etc etc. It is mainly held during the month of October. Shravan-Purnima, according to Bengali calendar is the time of Rakhi Purnima. Pupils of Visva-Bharati celebrates the day. 6th day of Magh in 1331 according to Bengali calendar was the day when Maharshi Devendranath was left. Maghotsava is dedicated to Maharshi’s death anniversary. It also marks the anniversary of the Brahmo Samaj and the Founding of Shriniketan.